Welcome to Swimming Los Angeles! Swimming Los Angeles is a proud life member of the United States Swim School Association and offers swimming lessons for progressive minds. 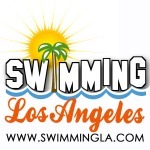 Swimming LA offers parent/child swimming lessons for ages 2-36 months and adult beginner swimming lessons year round. Are you a new parent with questions about baby swimming? Swimming LA has answers. Swimming LA focuses exclusively on educating new parents about swimming. Copyright © 2015-2019 Swimming LA, Inc. All Rights Reserved.